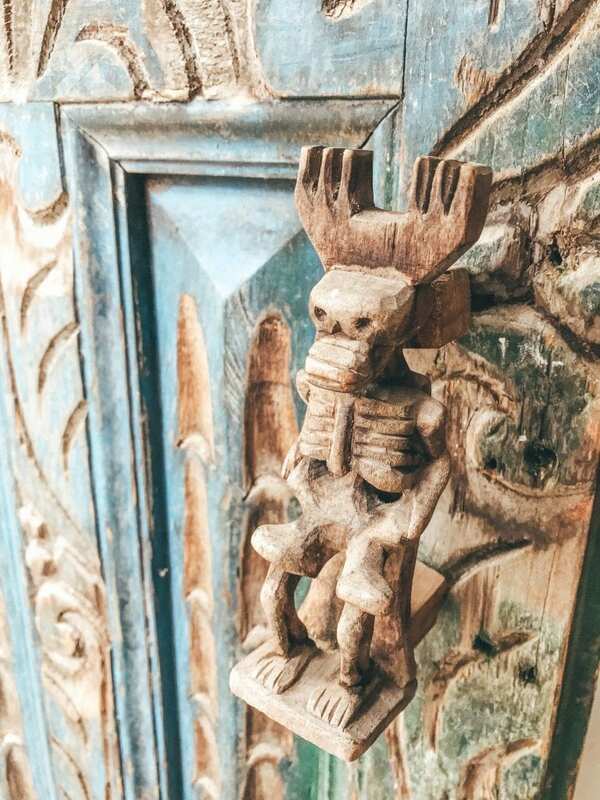 It’s time to talk about a special stay again and this one is located in Guatemala. And lucky you, because it’s located at one of the highlights of the country: Lake Atitlan. Different villages surround this huge lake in the south of Guatemala en in one of these villages you can find the pearl that is called Lush Atitlan. The villages around the lake are all very different. San Pedro is the most popular one, which is a backpackers walhalla. A lot of young people come here to meet others and party all night long. This is fun for a day, but San Marcos was more my kind of village. 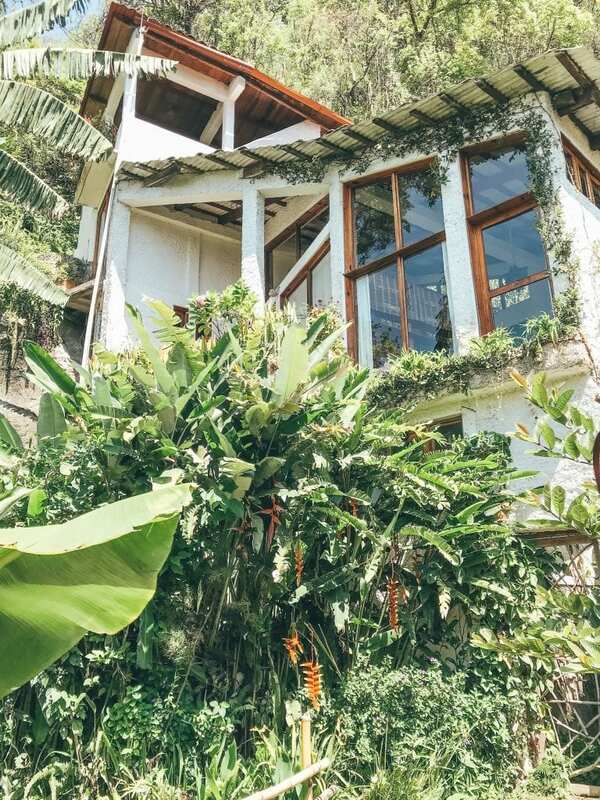 This is one of the spiritual places, with a lot of hippies, vegan restaurants and yoga. It’s a good place to rest, do some meditation and be yourself. And it did feel relaxed. Lush Atitlan is a tropical paradise. 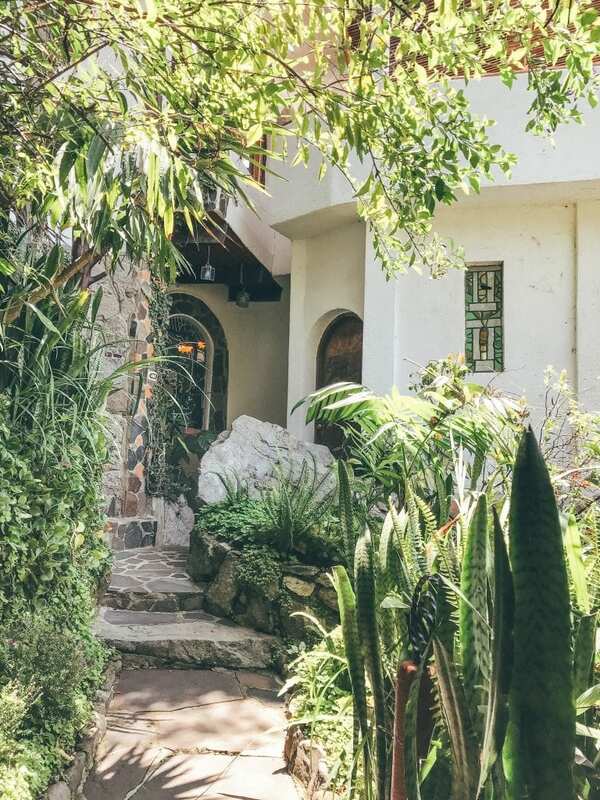 The entrance is full of beautiful plants and flowers, and you have to walk through nature to get to the apartments and rooms. The garden is split up in several areas, which are all good spots for some relaxing. The area where you have breakfast is located one floor higher and from here you have a good view over the whole accommodation. 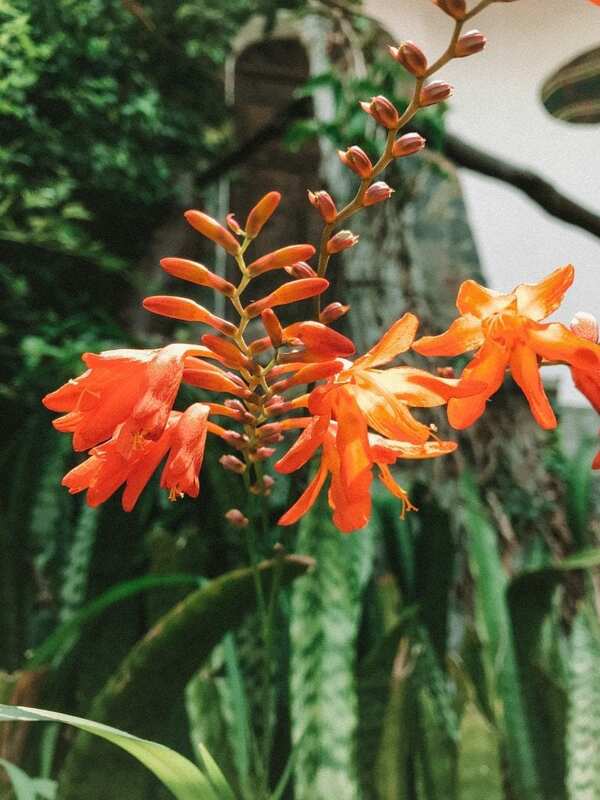 Lush is a place where you want to take pictures all day, because it’s so picturesque and serene. Lush offers twelve accommodation options, both apartments and rooms. 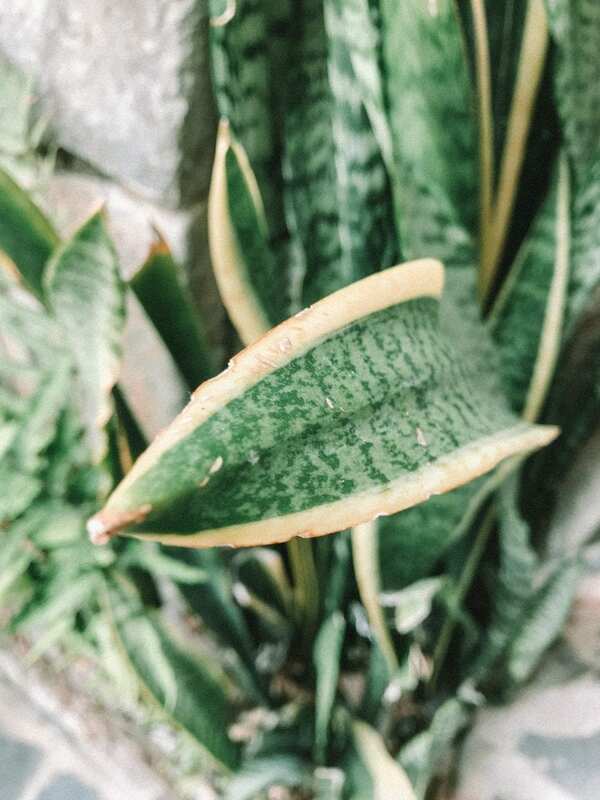 One house is fully decorated with plants what beautifully camouflages in the area. 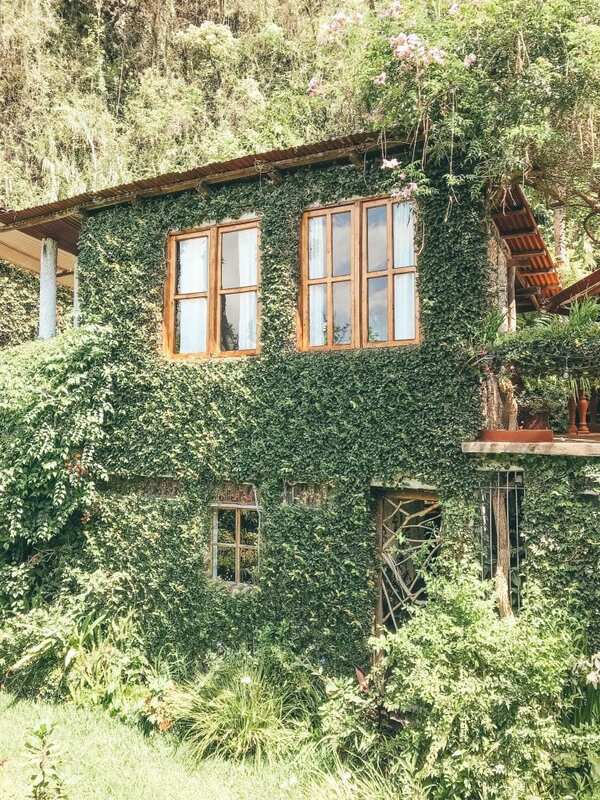 Other houses contrast great with their white walls in the green environment. I’ve spent two nights in one of the white apartments, called Sirena, ant is was serene for sure. The apartment consists of two floors. The first floor is already spectacular. You enter the house in the bedroom and your gaze is drown to the huge bed which is dominating the whole room. From the kingsize bed, with white tightened sheets, you have an incredible view over the lake and the surrounding volcanoes. When the sky is clear you’re able to see a few volcanoes, while you’re laying in this comfy bed. The next area consists of a passage and a big bathroom. 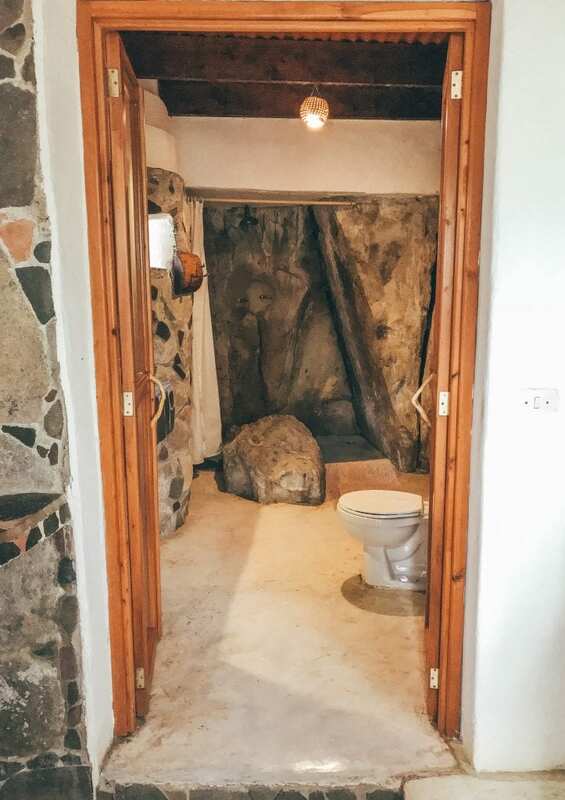 But not just a regular bathroom: it’s like a cave. 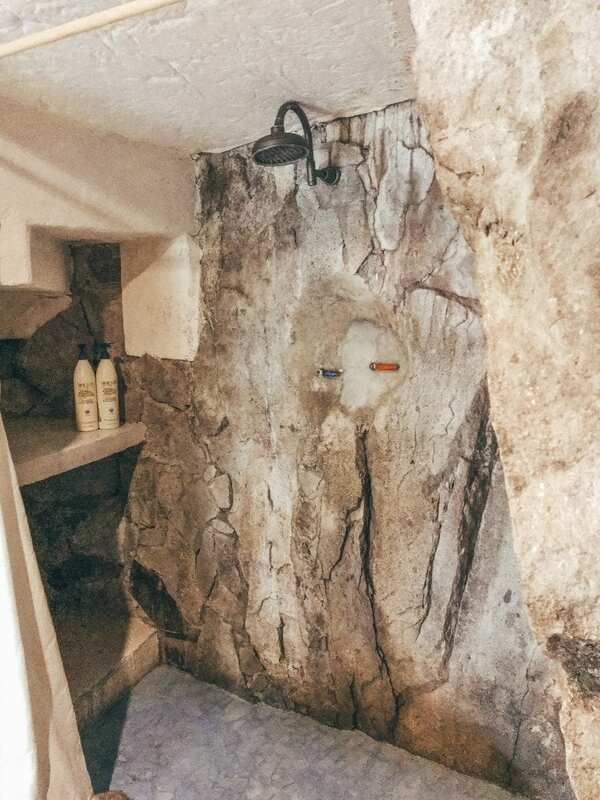 You can find some rocks in the bathroom and the wall is all made of rocks. So while you’re in the shower, it feels like you’re showering outside. Just don’t be surprised when a spider comes to say hi. Via the stair you reach the second floor of the apartment, with a kitchen, a living area and a balcony. The kitchen has a happy color and is fully equipped. 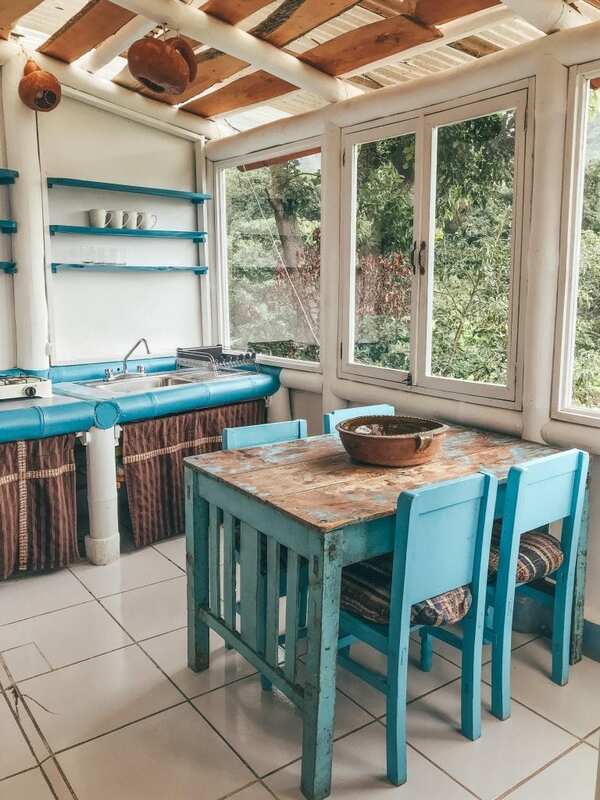 You can eat at the centrally located dining table, which has the same color as the kitchen. In the corner of the living room you find this big couch, but it actually looks like a bed. The couch is decorated with a lot of pillows and it’s a great spot to relax. From here you have a 180 degree view over the lake and the surroundings, so you can sit here for hours and just look at the view. Or drink a beer on the balcony next to the living room. The balcony is not big but it’s such a good spot to spend the day. To get to Sirena, you have to climb a steep stair, but that’s actually great. Because it’s a little more high, you have one of the best views over the lake. One thing that I really loved about Lush Atitlan are the materials they use. Everything is of wood and that’s just gorgeous. 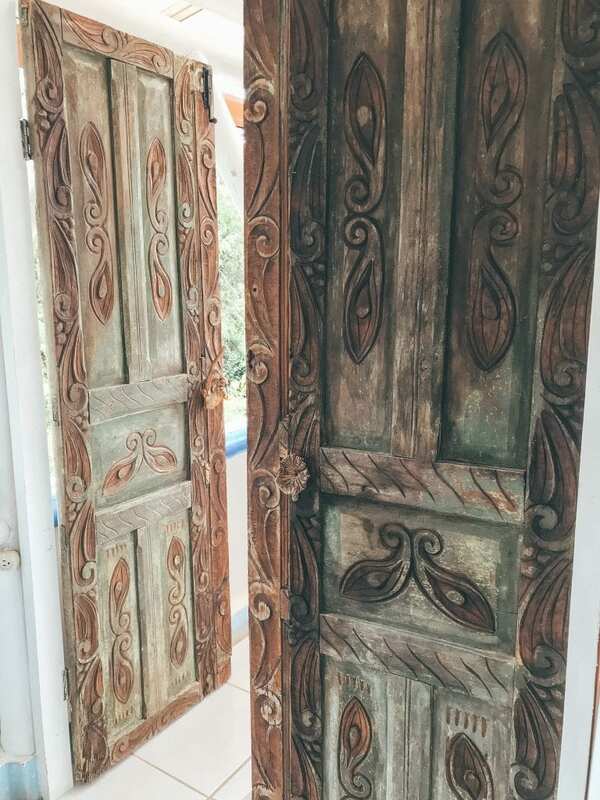 But the details amazed me even more, like the handles of the doors. 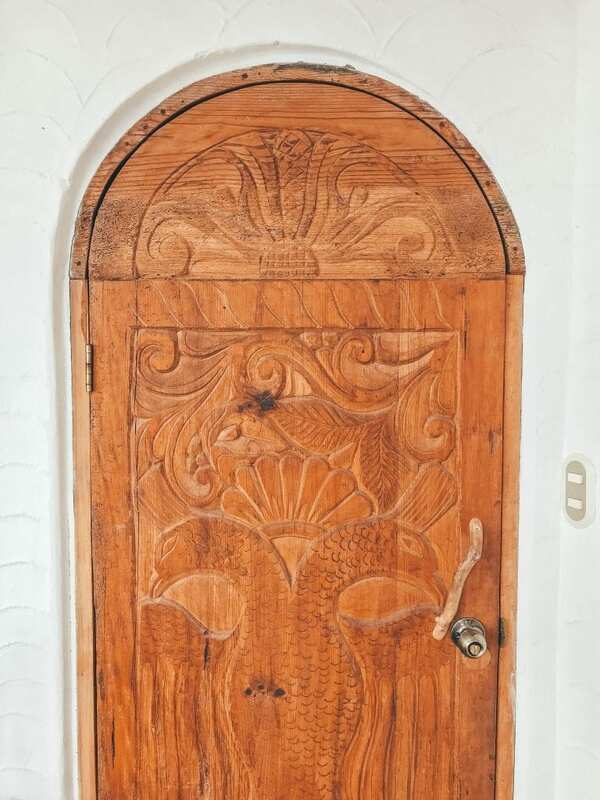 I really admired the doors, the smaller furniture and other details. It’s art! 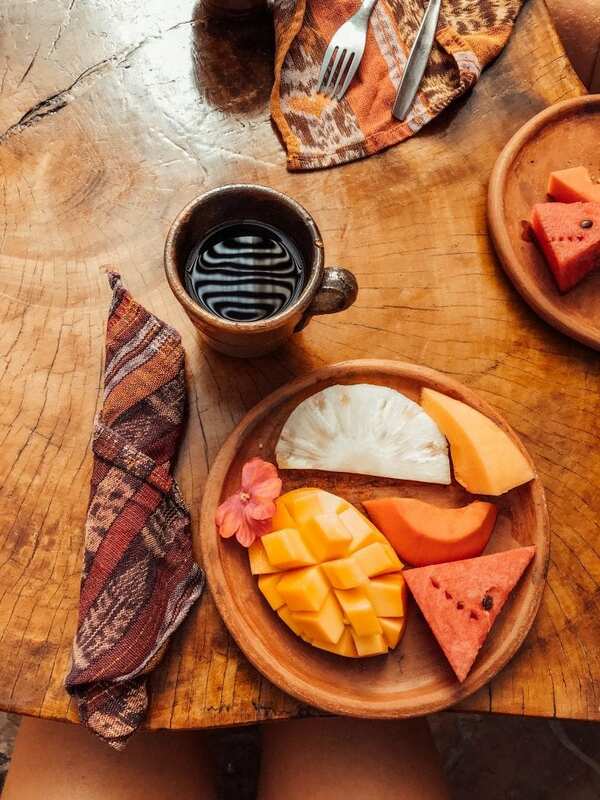 Lush Atitlan doesn’t offer lunch or dinner, but you can have a delicious breakfast over here. It’s a simple but good breakfast. You can have as many fresh fruit as you want, with eggs, toasts, jam, milk and granola. And it looks so gorgeous, with candles, colorful flowers and mango that looks like a flower. Drink some coffee and your breakfast is yummy! 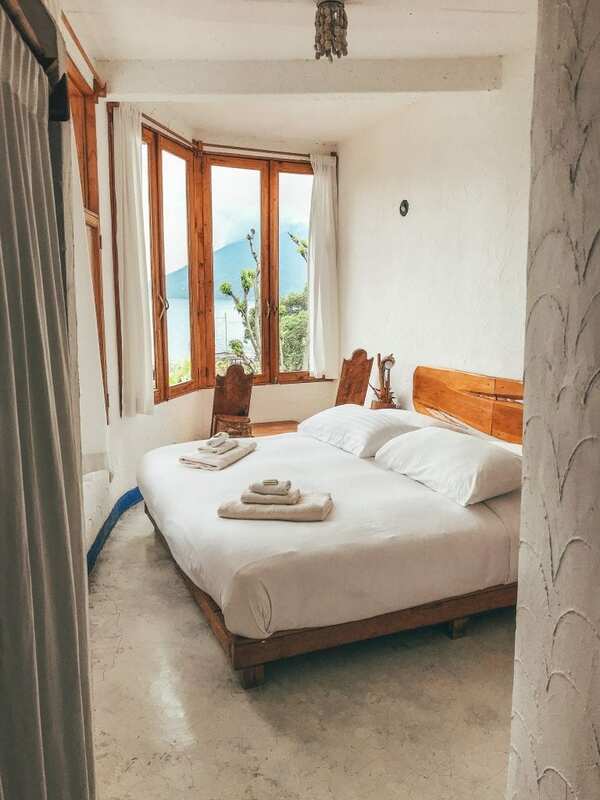 It’s not possible to book any activities at Lush Atitlan, but they do have good contact with some other companies or people in the area. Think about a lovely massage, a spa retreat or some yoga. Go meditating, relax during a massage or find your inner self in this spiritual village. 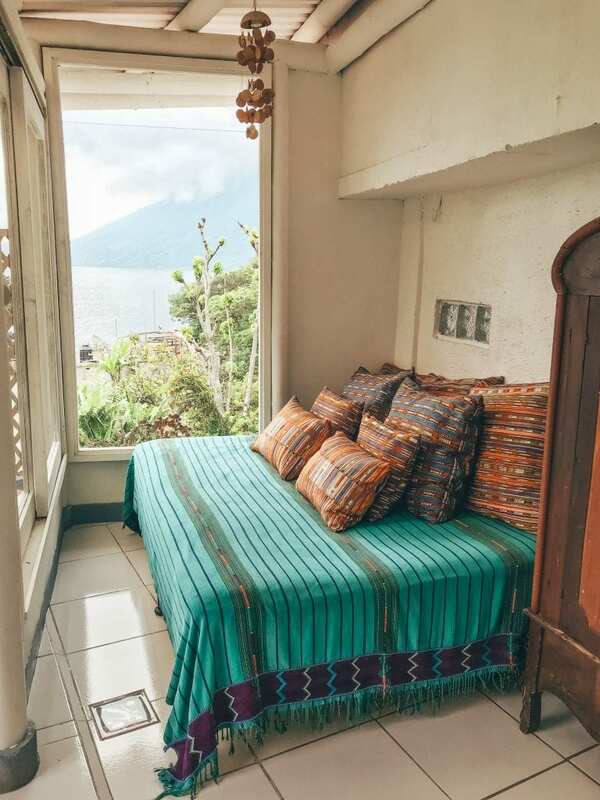 There is enough space in and around Lush Atitlan for some ultimate relax days! Check the website of Lush Atitlan for more information! Are you looking for more special stays? Just have a look at my special stays page for more inspiration! Palo Verde Hotel in El Salvador: a surfers paradise! Time for a big adventure!